Duncan K. H. Fong, Frank and Mary Jean Smeal Research Fellow, is Professor of Marketing and Statistics at Penn State. He is a former chairman of the Marketing Department (2010-13) and a former Ph.D. Director of Smeal Ph.D. Programs (2009). 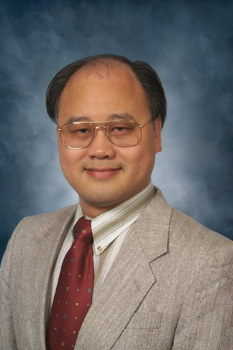 Professor Fong had served as the Ph.D. Coordinator of the Marketing Department from 2004 to 2010 and again in 2014-2015. He had been invited as a visiting scholar/professor at Yale University (2017), Columbia University (2017), University of Maryland (2011), City University of Hong Kong (2008), Duke University (2003), and Georgia Institute of Technology (1994). He has published more than fifty refereed articles in various top journals in Marketing, Statistics, Operations Management and Operations Research. Professor Fong is a Fellow of the American Statistical Association, Fellow of the International Society for Bayesian Analysis, and Fellow of the Royal Statistical Society. He has been an Associate Editor of the Journal of Business & Economic Statistics since 2012. He is also an Editorial Board Member of Marketing Science and the International Journal of Research in Marketing. In addition, he is a former Associate Editor of the Journal of the American Statistical Association, Editor of Asian European Journal of Mathematics, and Associate Editor of the ISBA Bulletin. Professor Fong is a Founding Member of the International Society for Bayesian Analysis and served on its Governing Board from 1992 to 1994. At Penn State, he has served on 34 doctoral committees and 13 M.S. committees, supervised eight doctoral dissertations, three master theses and one undergraduate honors thesis. His former Ph.D. advisees were placed at universities (e.g., Arizona State) and industrial firms (e.g., Google). Professor Fong's research interests include marketing research, marketing analytics, Bayesian analysis, operations and supply chain management. He is currently working on several projects, which include the development of new methodologies to perform market segmentation, the investigation of dynamic evolution of consumer preferences, Bayesian multidimensional scaling procedures, among others. Research approaches, methods, and applications studied as a formal approach to problem solving for marketing decisions. Lin L., Fong D., "Bayesian Multidimensional Scaling Procedure with Variable Selection." Computational Statistics and Data Analysis, vol. 129, 2019, pp. 1-13. Kani A., Desarbo W., Fong D., "A Factorial Hidden Markov Model for the Analysis of Temporal Change in Choice Models." Customer Needs and Solutions, vol. 5, 2018, pp. 162-177. Kim S., Desarbo W., Fong D., "A Hierarchical Bayesian Approach for Examining Heterogeneity in Choice Decisions." Journal of Mathematical Psychology, vol. 82, 2018, pp. 56-72. Fong D., Chen Q., Chen Z., Wang R., "An Application of Heterogeneous Bayesian Regression Models with Time Varying Coefficients to Explore the Relationship between Customer Satisfaction and Shareholder Value." Open Journal of Statistics, vol. 7, 2017, pp. 36-53. Fong D., Kim S., Chen Z., Desarbo W., "A Bayesian Multinomial Probit Model for the Analysis of Panel Choice Data." Psychometrika, vol. 81, 2016, pp. 161-183. Fong D., Desarbo W., Chen Z., Xu Z., "A Bayesian Vector Multidimensional Scaling Procedure Incorporating Dimension Reparameterization with Variable Selection." Psychometrika, vol. 80, 2015, pp. 1043-1065. Kim S., Blanchard S. J., Desarbo W., Fong D., "Implementing Managerial Constraints in Model-Based Segmentation: Extensions of Kim, Fong, and DeSarbo (2012) with an Application to Heterogeneous Perceptions of Service Quality." Journal of Marketing Research, vol. L, 2013, pp. 664-673. Kim S., Fong D., Desarbo W., "Model Based Segmentation Featuring Simultaneous Segment Level Variable Selection." Journal of Marketing Research, vol. XLIX, 2012, pp. 725-736. Fong D., Ebbes P., Desarbo W., "A Heterogeneous Bayesian Regression Model for Cross Sectional Data Involving a Single Observation per Response Unit." Psychometrika, vol. 77, no. 2, 2012, pp. 293-314. Li K., Fong D., Xu S. H., "Managing Trade-in Programs Based on Product Characteristics and Customer Heterogeneity in Business-to-Business Markets." Manufacturing & Services Operations Management, vol. 13, no. 1, 2011, pp. 108-123. Fong D., Desarbo W., Park J., Scott C., "A Bayesian Vector Multidimensional Scaling Procedure for the Analysis of Ordered Preference Data." Journal of the American Statistical Association, vol. 105, no. 490, 2010, pp. 482-492. Fong D., "Bayesian Multidimensional Scaling and Its Applications in Marketing Research." Frontier of Statistical Decision Making and Bayesian Analysis, 2010, pp. 410-417. Desarbo W., Ebbes P., Fong D., Snow C. C., "Revisiting customer value analysis in a heterogeneous market." Journal of Modelling in Management, vol. 5, no. 1, 2010, pp. 8-24. Liechty J. C., Fong D., Huizingh E., De Bruyn A., "Hierarchical Bayesian Conjoint Models Incorporating Measurement Uncertainty." Marketing Letters, vol. 19, 2008, pp. 141-155. Kayande U., Roberts J., Lilien G. L., Fong D., "Mapping the bounds of incoherence: How far can you go and how does it affect your brand?." Marketing Science, vol. 26, 2007, pp. 504-513. Fong D., Desarbo W., "A Bayesian Methodology for Simultaneously Detecting and Estimating Regime Change Points and Variable Selection in Multiple Regression Models for Marketing Research." Quantitative Marketing and Economics, vol. 5, 2007, pp. 427-453. Liechty J. C., Fong D., Desarbo W., "Dynamic Models Incorporating Individual Heterogeneity: Utility Evolution in Conjoint Analysis." Marketing Science, no. 24, 2005. Desarbo W., Fong D., Liechty J. C., Chang J., "Evolutionary Preference/Utility Functions: A Dynamic Perspective." Psychometrika, vol. 70, 2005, pp. 179-202. Desarbo W., Fong D., Liechty J. C., Saxton K., "A Hierarchical Bayesian Procedure for Two-Mode Cluster Analysis." Psychometrika, vol. 69, 2004, pp. 547-572. Fong D., Fu H., Li Z., "Efficiency in Shortage Reduction When Using a More Expensive Common Component." Computers and Operations Research, vol. 31, 2004, pp. 123-138. Bolton G. E., Fong D., Mosquin P., "Bayes Factors with an Application to Experimental Economics." Experimental Economics, vol. 6, 2003, pp. 311-325. Stavrulaki E., Fong D., Lin D. J., "Two-Resource Stochastic Capacity Planning Employing a Bayesian Methodology." Journal of the Operational Research Society, vol. 54, 2003, pp. 1198-1208. Beattie S. D., Fong D., Lin D. J., "A Two-Stage Bayesian Model Selection Strategy for Supersaturated Designs." Technometrics, vol. 44, 2002, pp. 55-63. Fong D., Pammer S. E., Arnold S. F., Bolton G. E., "Reanalyzing Ultimatum Bargaining--Comparing Nondecreasing Curves without Shape Constraints." Journal of Business and Economic Statistics, vol. 20, 2002, pp. 423-430.